Internship opportunity at IIT, Gandhinagar. Do you want an opportunity to work with creative people? Want to be the part of a team which is developing new technologies with creativity and innovation? Want to learn how existing technologies can be used in new, creative way leading to the innovative products? Want an opportunity to work on projects with IIT students? 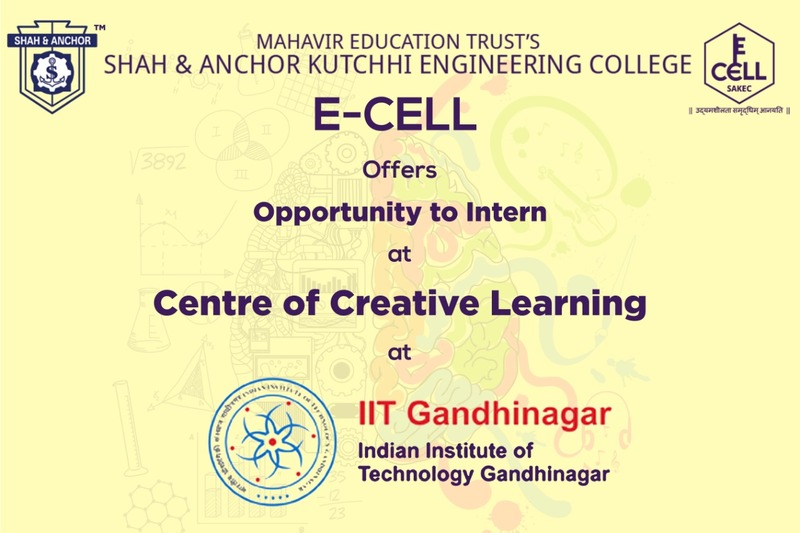 E-Cell presents the opportunity to intern at Centre for Creative Learning, IIT Gandhinagar where innovation, creativity is the way of life! The centre, where engineering is at its best!